Items which have been quarantined as a result of an On Access, On Demand or Scheduled Scans, can be sent to Comodo for Analysis. 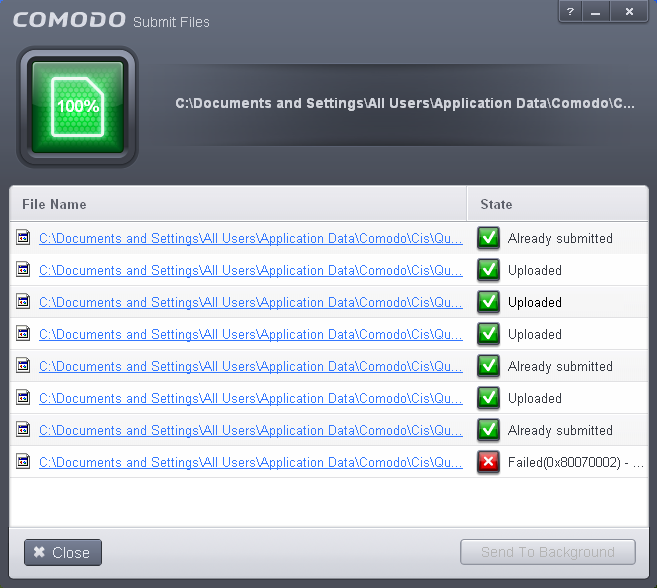 After the analysis, if the submitted item is found to be a False Positive, it will be added to Comodo Safe List. Conversely, if it is found to be a malware, it will be added to the anti-malware Black list. This helps Comodo to enhance its virus signature database and helps millions of other Comodo Internet Security users to benefit out of it. Click here for more details on Quarantined Items. The 'Quarantine' interface will open. The interface displays a list of items moved to Quarantine manually, from the results of real-time scanning, on-demand scanning and scheduled scans. 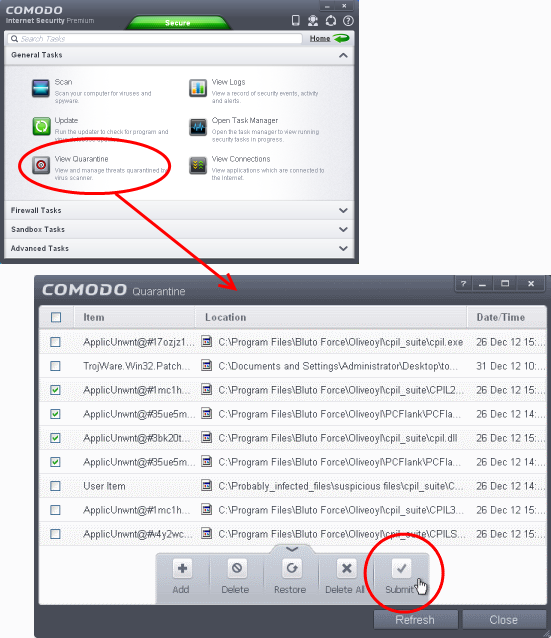 Choose the items to be submitted to Comodo for analysis by selecting the checkboxes beside them. Click the handle from the bottom and choose 'Submit'. The submission progress will be indicated. 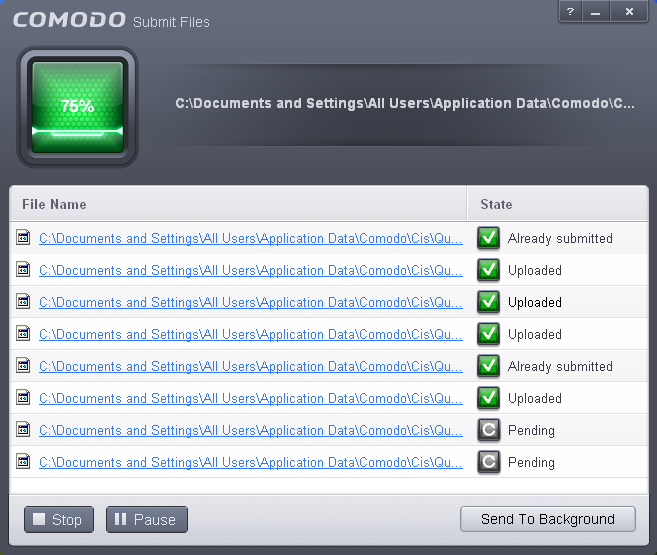 On completion, the submission results will be displayed, indicating whether the file is successfully submitted or already submitted by other users and is pending for analysis.